are currently using another inventory software and wish to switch over to BMO Inventory System, you can save time by uploading your customer contacts in bulk. 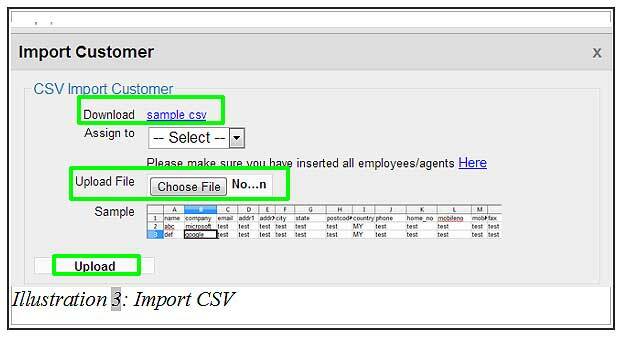 Below is a simple guide to show you how to import CSV file into BMO Online Inventory System. 2. You will be redirect to a new page which has a Import Customer button at the top of the Contact List. Click on this button to import the customer list from your local computer by uploading a CSV file. 3. Let’s say you have a CSV file, ready to be uploaded to your inventory system. Click on Choose File button to upload a CSV file from your local computer. You could refer to the CSV sample so your data is placed in the columns accordingly. Click on the Upload button to upload the CSV file. Now, the contacts that have been listed in the CSV file has been imported to your contact list. Refer to your contact list for a view of newly added contacts.